Your download will start in a few seconds.. When it's finished, the setup wizard will guide you through the installation process. Is Windows Smart Screen preventing you from starting the setup? We automatically upload and scan every release at virustotal.com, so if you're unsure that it's safe to execute the installer or if it's erroneously triggering your virus scanner, you can check out their detailed security analysis. See the video below for instructions on how to execute the setup if it's blocked by Windows Smart Screen. You can win thousands of dollars from recreational poker players – unfortunately you never get to play with them. Table-selection has a critical impact on your profits. Increase your winrate and let NEED4SEAT take the best seats for you. Four reasons to automate your table selection. Increase your profits immediately by playing softer tables with better position. Lower your variance by increasing your winrate and playing more steadily. Keep yours eyes on the table, while table selection gets taken care of. Play more tables from multiple poker clients as if it were just one. More than just a seating script. 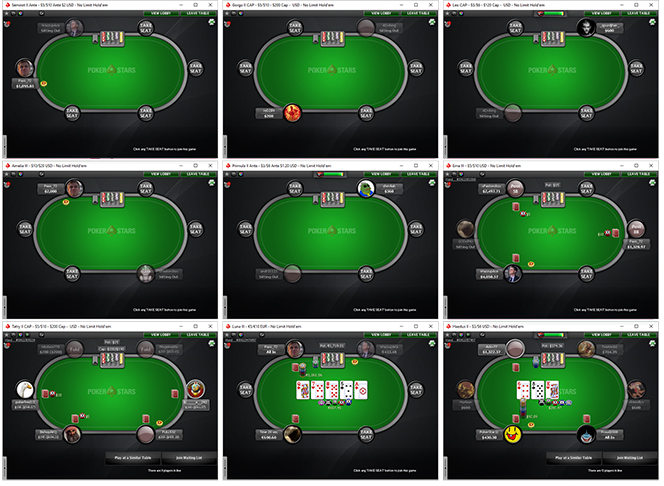 Tables are opened automatically based on the filters you set in the poker lobby. Start your session with the click of a button. The software remembers where you want to sit and where you don't. This makes the seating even more seamless. The built-in dynamic table tiling automatically adjusts your table layout based on the number of tables you are currently playing. With the only seating script that supports the use of custom table themes, you can fully adjust the table visuals to your preferences. Even the fastest seater cannot sit down at an already full table - it can get you the first spot on the waiting list, though. The 'Distraction Free Mode' allows you to focus even better. Scanned tables just disappear until you have been seated. Sometimes it's more convenient to have the button when a fish is in the blinds. Specify exactly where you want to be seated. We understand that, as a poker player, you are taking your security on the web very seriously - and so do we! To give you the confidence that downloading and using NEED4SEAT is safe, we upload every release to virustotal.com, where it is scanned by 60 different virus and malware scanners. Please note: because NEED4SEAT requires admin priviliges and interacts with the poker applications that are running on your computer, it is still known to trigger some virus scanners. If you want to make sure that it's safe to launch NEED4SEAT, please review the virustotal report. Start your session with the click of a button. After you have completed the short on-screen tutorial, you can use the poker lobby filters to select which types of tables you want to play. Start the Lobby Scanner and everything will be automated for you across multiple clients. Once the tables have been opened, the Table Scanner will monitor them and reserve a seat as soon as a recreational player appears. PokerGraphics offer poker table mods that allow you to play with the same look and feel on all major poker clients, reducing the distractions when playing multiple poker rooms. This makes them our perfect partner. PokerRanger is a professional poker analysis software, that combines the best features from several other tools in a single package. It is commonly known as the most intuitive tool among poker professionals. WorldPokerDeals offer rakeback deals and consultance for every poker room out there. They also showcase a huge selection of poker tools and regularly publish online poker news on their blog. PokerMarket is an online poker community and marketplace. Trade poker content, buy and sell stakings, or talk strategy on the forums together with more than 20.000 other poker enthusiasts. If you need help with anything you can contact me on skype all day. If you are not satisfied, I will refund 100% of your money – no strings attached. You will receive an email with your license key immediately after you have subscribed.